Obviously from reading this forum I'm aware that it's cricial to catch it early before all you're left with is 4 tyres, a steering wheel and a pile of flaky orange grunge. I think I'll be fine sanding, applying some rust killer then some grey primer at the moment. (don't think I'll need to fill) I'll then have a look online for some plastic wheel arch trims. Just wondering if there were any particular rust treatment products out there that you have had good experiences with and would recommend? Sand down - and the trick is really getting it all, otherwise it tends to creep back along and under your repair. Then I use Kurust to rust convert the remnants (most of these products are somewhat similar.) Then the best paint I have ever used myself is a very expensive product called POR15, grey colour, then hammerite over that. A less well enduring repair would be not to use the POR 15 and just go Hammerite with 2 or 3 coats. to another highly air tight container as the lid tends to get some on the edges and it hardens like pure rock. just the lips of the arches a smaller can would do 2 coats no bother with some to spare. It seems expensive but when you consider how much it could potentially save you it then seems more reasonable. And do not get POR 15 on your hands, it is almost possible to remove. It is highly chemical and very, very powerful paint. and with a lacquer if you do the Bongo paint colour. Hammerite smooth tends to dry with a reasonable gloss. POR15 is the way to go to hold it back for the longest possible time. Follow all the instructions. I'd advise against plastic trim, it creates a water trap and often makes matters worse. I prefer to just have the paint - at least you can see it's starting to rust (again). Just keep on top of it. Unless you don't intend to keep the vehicle for any length of time I am afraid the only way to treat Rust is , to cut back to Good metal and replace. A short cut is only for a short time, and false economy. Thanks for that chaps, makes a lot of sense re not going for the plastic trims. Arches aren't structural so within reason rust on them is not an MOT failure. I've held rust back on mine using glasscloth and resin techniques for several years now though i have to revisit each year is cos its a losing battle. The reason i do it is that i've been advised by people i trust that even cutting out and replacing with metal arches may not stop rust returning within a few years (do we know what quality steel the so called Sprinter arches are made from - remember the Italian car steel scandal of the 1970s?). Plus i'd be without the Bongo for some while. So,whilst I HAVE had structural rust cut out and quality welding done in several places, the arches have been able to wait. On a rust through on one inner arch, a very effective repair has been glasscloth and dinitrol- redone after about 2-3 years good service. There's no need to have a fixation about metal, unless its structural. 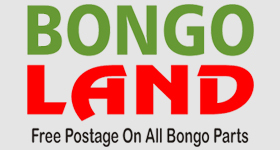 Modern cars use non metal components in many places where a Bongo uses steel. It is OK (and not bodging) to use alternative and innovative repair techniques. If the rust is slight then I'd try things like bb123 is suggesting and see how long before rust appears again. Dont waxoyl inside arches if you are expecting to weld soon as it makes the welding job much more hazardous. Basically, just apply good sense to everything. Etc. for another 3 or 4. So that will 8 years. 8 years of rot saved from "new" arches. That is not a false economy to me. Treating rust is never a false economy when you DIY cause it costs very little. Leaving it untreated is a guarantee to a load of holes in 2 to 3 years of UK weather. Yes, I agree with you on YOUR point, I was referring to the average motorist not to DIY experts, most motorists I know could not put a nut in a monkeys mouth ,or tell a cam shaft from a calm day.